Icicles form after the March 8 nor'easter in New Hampshire. 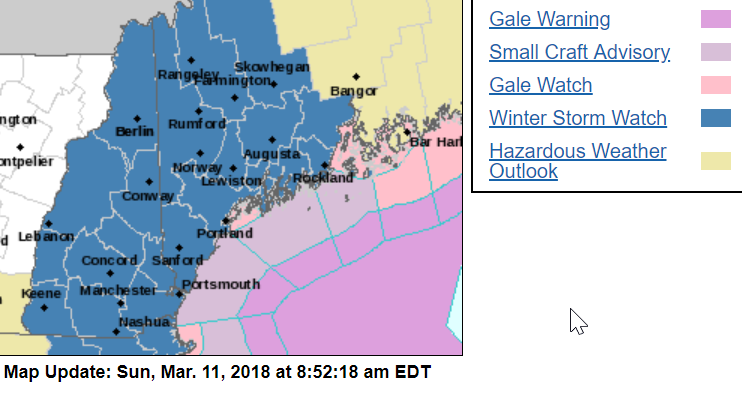 Another nor'easter is developing, and this winter storm watch coincides Tuesday with New Hampshire's annual Town Meeting day. The National Weather Service issued the storm alert for all of Tuesday and until Wednesday at 8 a.m. The updated forecast Sunday indicates snowfall of at least a couple of inches across the Granite State. New Hampshire's traditional Town Meeting season comes each March for most communities (by law, it falls on the second Tuesday in March, unless a town has enacted an alternate provision). 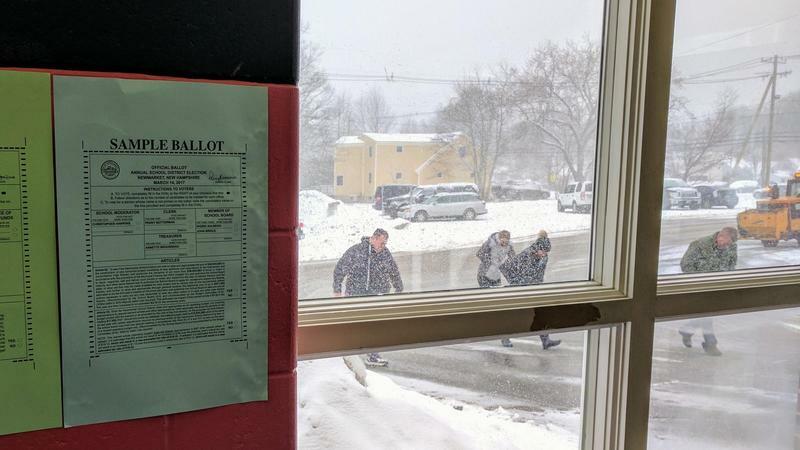 A snow storm last year prompted postponements and ignited a debate that is still continuing, about who has the authority to postpone and reschedule these important town governmental sessions. Read more: Who Should Have the Power to Reschedule Town Meetings? N.H. Senate Sides with the Secretary of State. The National Weather Service has issued a winter storm watch for Tuesday and into Wednesday in New Hampshire. 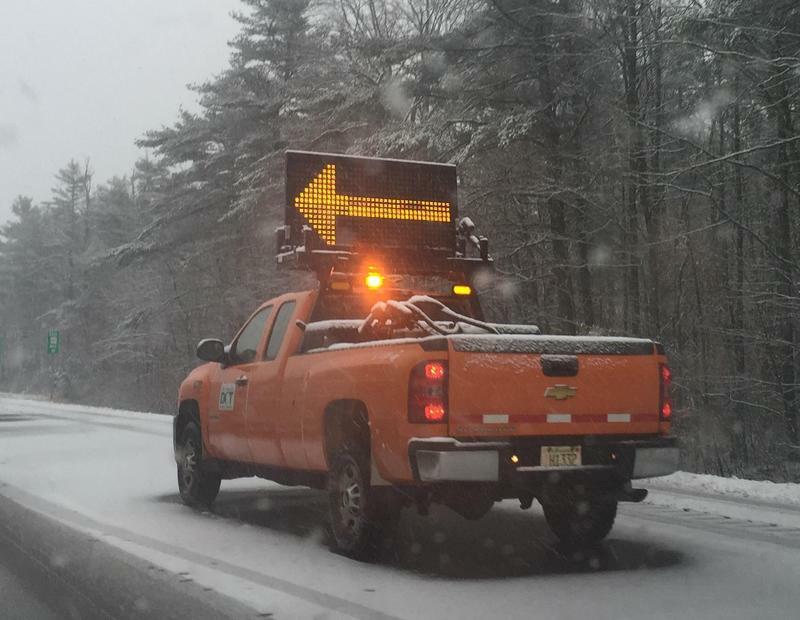 Tens of thousands of people have had their power restored Thursday, after a winter storm dumped about a foot of heavy, wet snow on New Hampshire. As of 3 p.m. Thursday, about 37,000 customers – mostly in Southeastern New Hampshire – were still waiting on power. Unitil spokeswoman Carol Valianti says the snow that fell on that region is like cement. It adheres to trees and branches and wires, and brings them down. On top of that, she says the preceding nor'easter left trees brittle from wind and loaded the ground with moisture, weakening root systems. 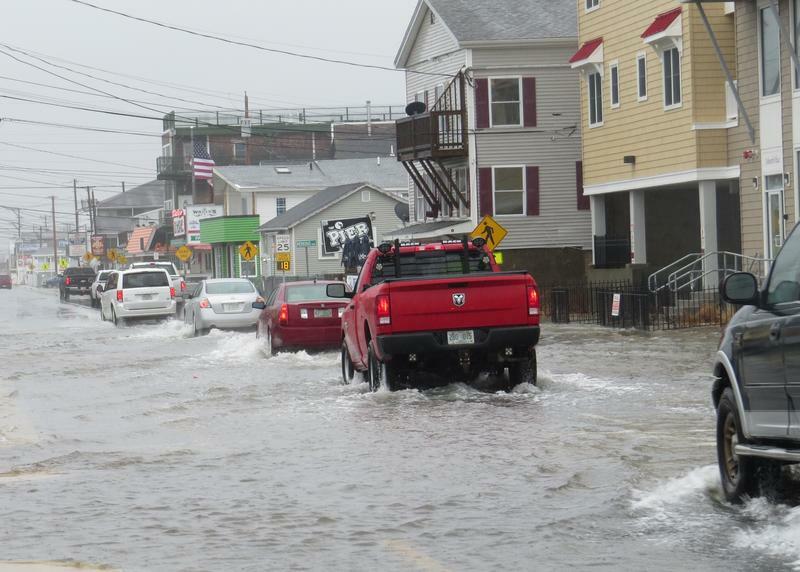 Update: The nor'easter March storm soaked New Hampshire's seacoast towns, causing serious flooding in Hampton Beach and forcing the closure of several roads in Hampton to Rye along Ocean Boulevard. Flooding was its worst with the mid-day high tide. Several roads that were blocked or closed were open Friday afternoon, while public safety officials are keeping on eye on the next high tide - close to midnight. The coastal flood warning is in effect until 2 p.m. Saturday. A high wind warning is in effect until midnight. On October 3rd, 2016, around 7:45 at night, a New Hampshire State Trooper pulled over a red Hyundai with Massachusetts plates heading northbound on I-95. 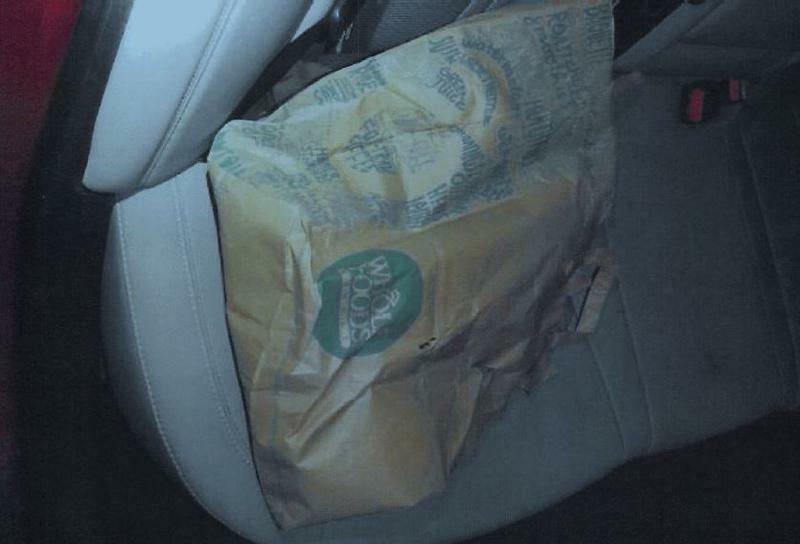 According to the police report, the car was going 66-mph in a 65-mph zone, and was tailgating behind a pickup truck. The driver of the car, a man named Alexander Temple, appeared nervous. The trooper noticed his hands were shaking.